I read this book over summer and completely forgot to write a review. My bad! It was the kind of book that I read in between other books or if I didn’t feel like writing fiction, so it took me forever to read. 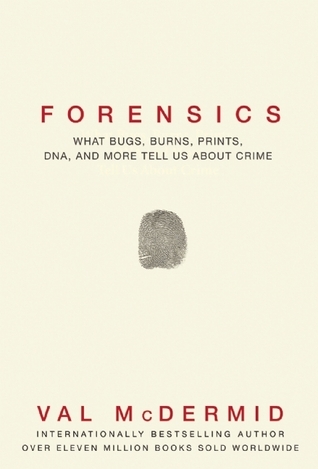 This book was a fantastic overview of the various forensic practices and cases that forensic investigators (or crime scene investigators, as we call them in the US) handle in their careers. It read like a history book as it went backward and forward through time, analyzing and examining various methods and ways that investigators use to analyze a crime scene. Blood spatter, fingerprint analysis, DNA, pathology, toxicology—the list goes on and on. The tiniest of clues can be left behind at a crime scene, and these folks are the masterminds behind finding them and piecing them together. If you watch CSI, this book will disappoint you. It’s the cold hard truth—it doesn’t take forty minutes to process DNA, sperm, or fingerprints. In reality, it takes much, much longer. There aren’t fancy computer programs or national mass databases to magically run information through as the shows would have you believe. I would definitely recommend this book to those who perhaps write crime novels or are interested in the field of forensics. Overall, a fascinating read. I give it a 4/5 on Goodreads. Thank you to NetGalley for graciously granting me a copy of this to review.